Ever since Vodafone Hutchinson Australia entered the telco market in June 2009, it has been rolling out innovative products to help millions of Australians connect their businesses and personal devices. In the past couple of years, Vodafone with a subscriber base of close to 7 million, has been making giant leaps into the Internet of Things (IoT) market. Currently, it powers some of the most innovative connected products ranging from the automotive, to smart cities, to the health and lifestyle industries. The greatest advantage with connected products is that they change lives and redefine how people do business. Vodafone Australia was one of the strategic sponsors of the CeBIT Conference held in May 2017. This global computer expo event is one of the largest and longest running B2B exhibitions in the whole of Asia Pacific region. During the expo, there were various exhibitions and IoT technology featured prominently. The conference sent a bold statement on how IoT is impacting businesses by allowing them to compete aggressively through improved security, sustainability, and efficiency. IoT technology uses new business models to improve the quality of life of customers. Vodafone is at the forefront of this technology and through invention, it is powering enterprises across key sectors of the economy. This technology connects BMW 5 Series vehicles to the world. It does this by linking digital services, entertainment, comfort, and security with other smart devices. While the BMW 5 Series is known for its lightning-fast speeds, Vodafone has integrated powerful features that transform it from just a means of transport into an amazingly smart device. A music streaming service connected to your wearables that allows you to listen to your favourite tracks. Emergency call functionality that links you to a pool of emergency services. This comes in handy in case of an accident. When it comes to vehicle navigation, IoT provides mass market solutions that make fleet management much easier with vehicle tracking and diagnostics. Some of the greatest challenges fleet managers face, is in enhancing efficiency and safer driving, maximising fleet utilisation, and optimising route planning. IoT makes this possible through device interconnectivity. Towards the end of last year, Vodafone struck an agreement with NIU, a leading electric scooter brand, to connect smart electric scooters globally. This addition broadens Vodafone’s IoT portfolio. As part of the agreement, Vodafone will pre-install IoT SIM cards complete with 1-year prepaid data contracts. This means scooter customers will access battery charge and journey range details right from their dashboard. The IoT connectivity also brings in additional security features. For instance, the scooter security alert system sends a text message directly to the owner’s phone in the event the scooter is moved without his knowledge or authorisation. Currently, NIU has sold more than 330,000 of these scooters globally. Through Vodafone’s leadership and global network, the IoT technology will reach lots of people and strengthen NIU’s ambitions. Vodafone SIM supports LifeGuard SmartHome IPD, a product of the INS Group. Together, this forms a unique solution that puts TeleHealth, Home Automation, Personal Emergency Response, Virtual Nurse, Voice and Internet, right at your fingertips. This ensures that you can contact emergency health services and your personal doctor much easier on the network. The wearables technology extends beyond humans into the pet industry. The greatest concern in this space is safety. IoT promises pet owners of the ability to track the movements of their furry friends through a combination of GPS, Cellular Technology, and Wi-Fi. Vodafone has partnered with POD Trackers, a Sydney-based company that uses embedded Vodafone SIM cards to locate and protect pets. Governments all over the world are striving to create livable cities through smart technology. Some of the services that have already benefited from IoT integration include waste collection, traffic control, and street lighting. In Australia, Smartsensor Navigator in partnership with Vodafone has managed to develop a rubbish bin app. This enables users to map, maintain, and monitor their bins from an interactive dashboard. When the bins are almost full, the Smartsensor which has a built-in Vodafone SIM immediately sends fullness-level alerts to waste managers for attention. 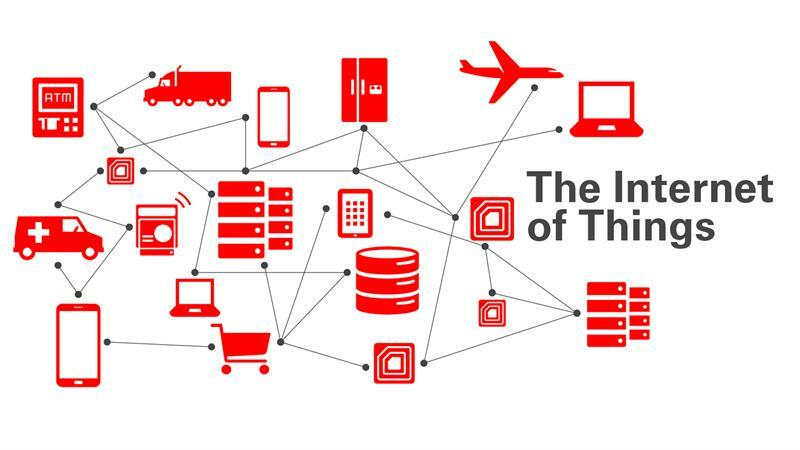 The above, are just some of the IoT solutions Vodafone is actively engaged in. There are many more that are still being trialed and others that are already in use in businesses.